You have planted some Lavender plants and now have a flower harvest to use in crafts. So let's now make homemade Lavender sachets with it. To make a Lavender sachet you will need Lavender flowers that have been dried. 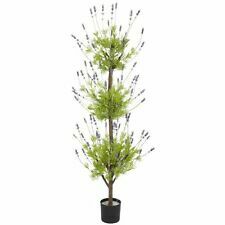 If the flower is still attached to the Lavender stems you will need to strip or remove the buds. Make French Lavender sachets with your French Lavender. You can use the leftover stems to make Lavender fire bundles. To dry Lavender for sachets simply cut bunches when in bloom and secure with a rubber band. Hang the bunches in a warm place for few days. When dry remove the flower buds from the stems with your fingers. You can also remove the flower buds and then dry them by spreading them out in a warm place. Use a shallow dish or old cardboard flat to hold the Lavender buds and place it in a warm dark spot for a few days. The flowers will dry very quickly and be ready to use in less than a week. When thoroughly dry store Lavender buds in an airtight container or zipper plastic bag until ready to use to make Lavender sachets. Just what is a sachet? Well, it is a small bag containing fragrant materials used to scent drawers of clothes, linens, closets and more. Sachets have been around for 1000's of years and they are definitely not "granny items" although your grandmother might have some. Lavender scented sachets keep clothes smelling washday fresh, repels moths and insects. The dried flower buds that have been removed from the stems is all you need from the Lavender for sachets. See more below about how to make Lavender sachets. If you sew you can fabricate lovely little bags out of various fabrics. Lavender sachet bags may be simple or you may choose to be ornate. Just look at the beautiful bead work and lace! It would take hours if you handcrafted to make this yourself. All you need to do with these is open and fill with dried Lavender flower buds or rose petals and they will be beautiful sachets. Buy Lavender sachet bags so you are ready to make sachets easily. If you look at the filled sachet picture below you will see that it too is nice even though there is no lace or beads. The focus here is just on the inside Lavender filling and the lovely Lavender fabric. You can be as embellished as you want when crafting the Lavender sachets. Either way I don't think you could go wrong. You may tuck these beautiful and handmade sachets into drawers, hang them from clothes hangers, suspend them from doorknobs. They are really versatile and attractive not to forget extremely fragrant too. Simply craft a sachet bag or purchase one and fill with buds or Lavender leaves, rose petals or potpourri. Making Lavender sachets with dried Lavender couldn't be easier especially if you buy your sachet bags! The choice is yours and each one will be unique because you made it yourself with your own harvested flowers hopefully from your Lavender flower garden. Add a few drops of essential oil to boost the fragrance of the filling. Dried Lavender sachets are easy to make and wonderful to smell where ever you may place them. Do you have a Lavender sachet that you are proud of? Show it off here. Email me a picture and maybe instructions so that others can see all the choices available when crafting items. We would love to see your work and might feature it here with permission from you. Show us your sachets. Learn How To Make Lavender Dryer Sachets.